While the seat of the University of Mpumalanga is at Mbombela, it is committed to its vision of developing as an African university serving both our country and the continent, and of becoming a centre of knowledge, progress and academic achievement far beyond its region. The University of Mpumalanga has been established as a centre of academic excellence to serve a province that hitherto had been without a university of its own. As an institution whose mission it is to satisfy the long-term academic and economic ambitions of the people of Mpumalanga, the university has also been conceived as a centre of learning for people from across South Africa and for the continent as a whole. Incorporating the infrastructure of the three institutions that already exist – the Lowveld College of Agriculture at Mbombela, the hospitality school at KaNyamazane and the Siyabuswa Education Campus – the university is admitting its first students at the beginning of the 2014 academic year. 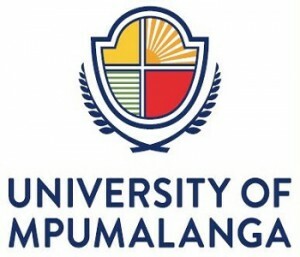 With the primary economic basis of the province founded in the fields of agriculture and tourism, and given the universal need to bolster South Africa’s education capacity, in its first year the University of Mpumalanga will offer diplomas in Agriculture and Hospitality, and a Bachelor degree in Foundation Phase Education. Year-on-year it will be increasing its capacity and programme and qualification range to encompass degrees in Life Sciences, Business Economics and Management Studies, Communication and Health and related sciences. Education has a fundamental role in ensuring that the human potential of all our people is expressed. The University of Mpumalanga’s mission as a fully-fledged member of the network of South African institutions of higher learning, is to help open up opportunity for everyone, regardless of their circumstances. Our purpose is to empower our people, to enable them to increase their chances in life, to stimulate and revitalise the economy and knowledge base of the province that is our home, and to contribute, through their own economic emancipation, meaningfully and productively to the growth of our economy as a whole.